How do computers and robots change the meaning of being human? How do we deal with the epidemic of fake news? Are nations and religions still relevant? What should we teach our children? 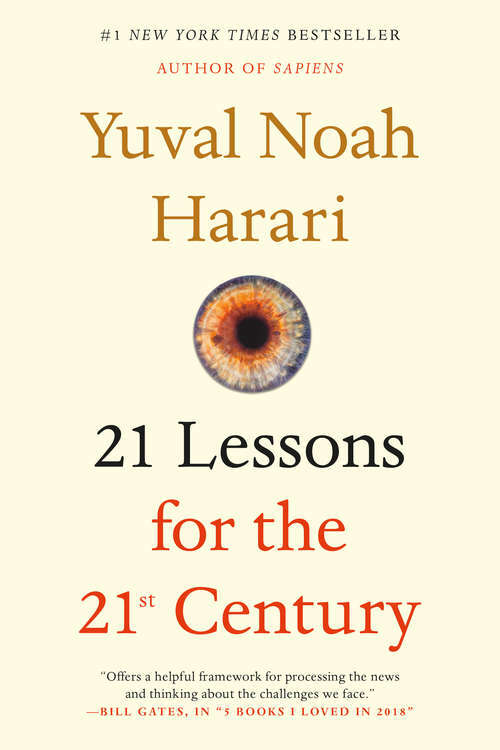 Yuval Noah Harari’s 21 Lessons for the 21st Century is a probing and visionary investigation into today’s most urgent issues as we move into the uncharted territory of the future. As technology advances faster than our understanding of it, hacking becomes a tactic of war, and the world feels more polarized than ever, Harari addresses the challenge of navigating life in the face of constant and disorienting change and raises the important questions we need to ask ourselves in order to survive. In twenty-one accessible chapters that are both provocative and profound, Harari builds on the ideas explored in his previous books, untangling political, technological, social, and existential issues and offering advice on how to prepare for a very different future from the world we now live in: How can we retain freedom of choice when Big Data is watching us? What will the future workforce look like, and how should we ready ourselves for it? How should we deal with the threat of terrorism? Why is liberal democracy in crisis?